The Bell’s annual Bonfire and Fireworks Spectacular, held on Friday 2nd November, proved a huge success with the crowds and for Stratford Cricket Club. The Bell provided a BBQ and bar whilst DJ Bobby Hunt entertained the adults and children alike. Glowing swords, headbands and windmills could be seen in abundance in the dark, the club ran a tombola and the fireworks were outstanding. The true scale of man's impact on the planet was laid bare by Sir David Attenborough this year in the final episode of the groundbreaking documentary Blue Panet II. The episode shocked the nation as it exposed the effect of waste plastic on our oceans and wildlife. Congratulations to Lesley O' Keeffe who has won an overnight stay for two people at The Bell! To mark The Bell's 10th Birthday Emma, along with Kate and Fernander (The Bell's two longest serving members of the team), planted an oak tree with the assistance of Alscot's forester George Wargent - who has also received recognition from the RFS for his longstanding service. 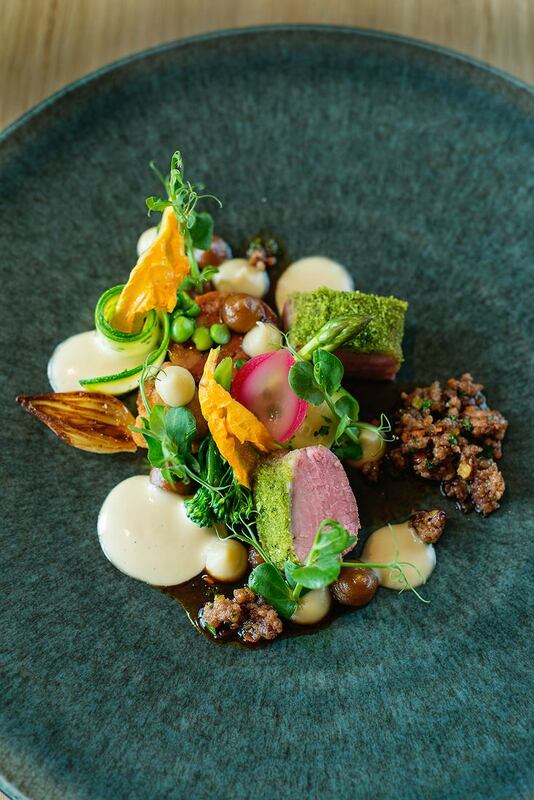 On Friday 3rd Nov 2017 Head Chef made the 8,361 mile journey to La Colombe; one of South Africa’s most iconic and internationally acclaimed fine dining establishments in Cape Town, to join Chef Proprietor, Scott Kirton. Upon his arrival he found his feet sightseeing the magnificent coastal city of Cape Town; the capital and primate city of the Western Cape province. 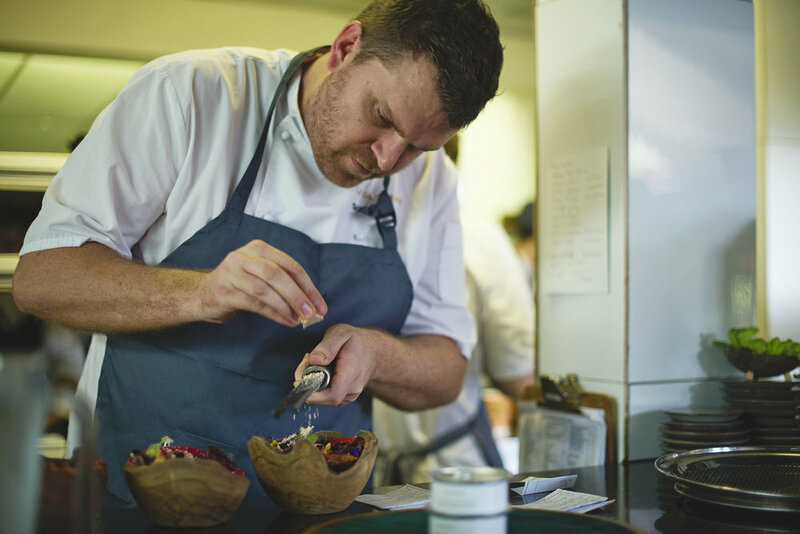 Eager to start work under Scott's wing in the renowned restaurant, recently voted 7th Best Restaurant in The World, Chef started work in the kitchen on Monday 6th November. On Friday 26th January Chef created and presented an exclusive ten course tasting menu, including a glass of fizz on arrival and delicious wines recommended and presented personally by Chris Plimmer of Enotria & Co, to an intimate group of diners in the beautiful balcony restaurant at The Bell. Day One ; Scott introduced Chef to his team and he worked on the starter/appetiser section. Day Four; The food looks and tastes amazing but it takes 15 minutes to plate just five dishes! It's all in the detail..
Day Five; The final day with Scott and the teams at La Colombe and Foxcroft, Chef enjoys the theatre in creating a sensory experience which is a palette cleanser for the delighted diners.